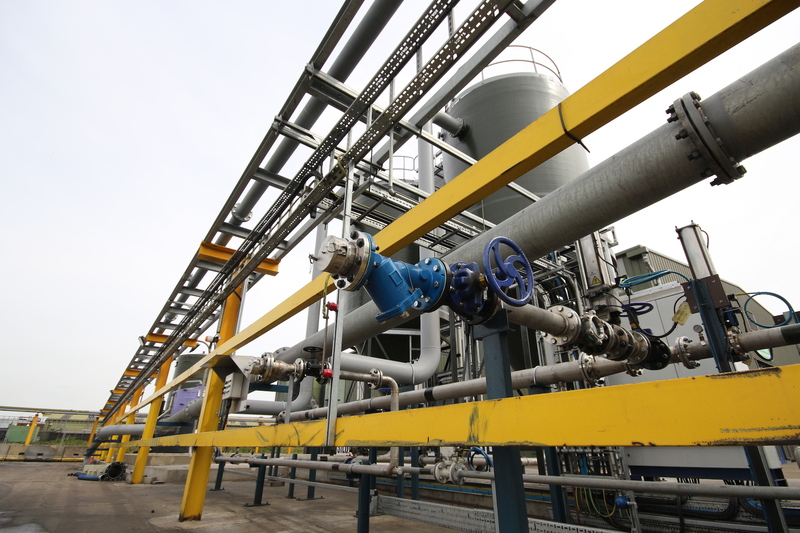 Activated carbons are used in a wide range of gas and liquid phase filtration applications, such as air treatment, water purification, food and beverage decolourisation and numerous other environmental protection applications. 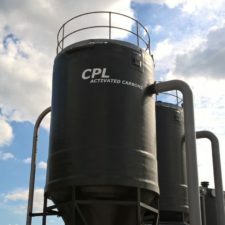 When carbons are ‘spent’ and no longer achieving the required level of filtration, they need to be replaced or reactivated. Spent carbons from industrial applications are referred to as ‘amber list’ materials, while carbons that have been used in drinking water or food grade applications are referred to as ‘green list’ materials. 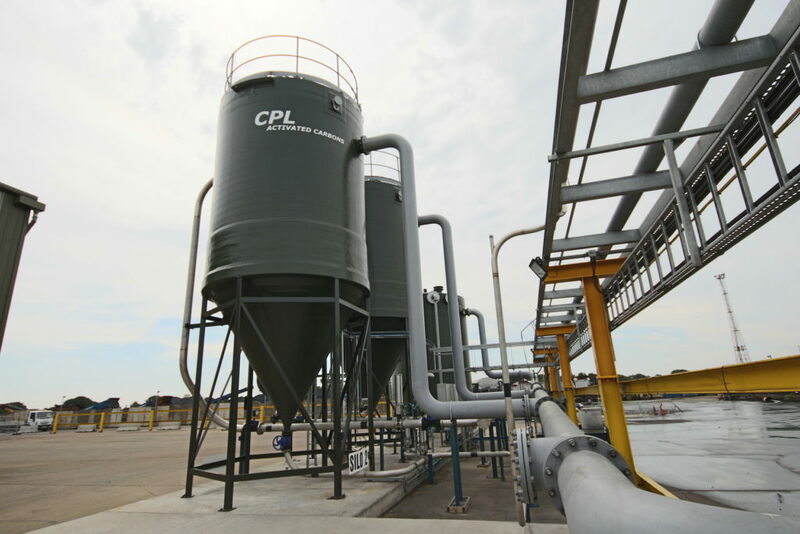 Expanding the capability of the Lincolnshire facility enables CPL to process ‘green list’ materials for the first time. 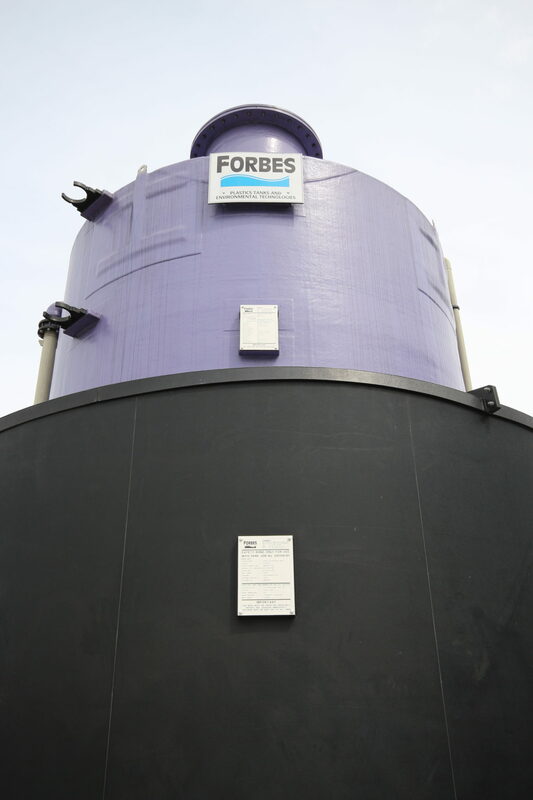 Forbes supplied and installed seven storage and mixing tanks, with capacities ranging between 10m3 and 100m3, as well as a fume scrubber. 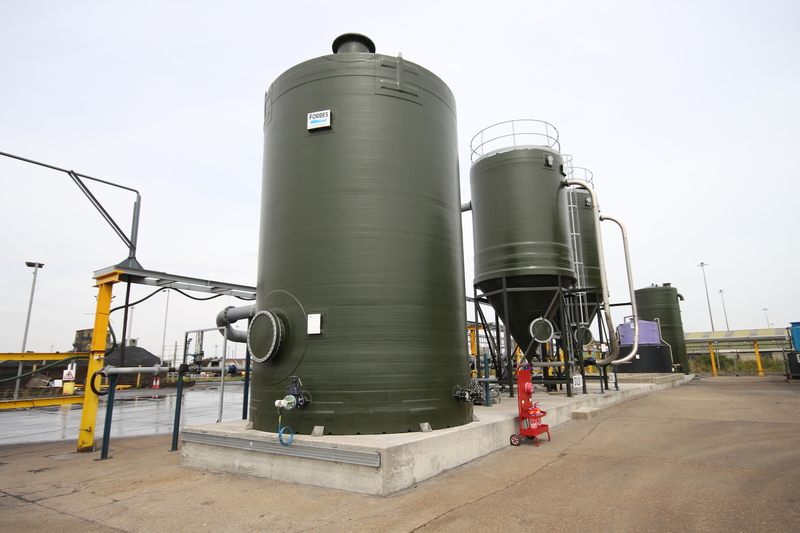 The tanks supplied included five wound GRP tanks, comprising two water reception tanks, two water break tanks and a final mixing tank. 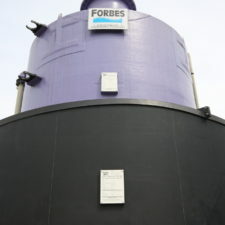 Safe chemical storage was also an integral part of the project and Forbes supplied and installed two integrally bunded chemical tanks. 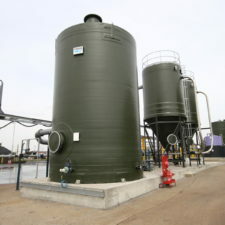 Each tank was designed and configured specifically for its intended contents; a Caustic Soda tank included a weather shroud, immersion heater and thermal insulation to prevent the caustic solution from freezing. 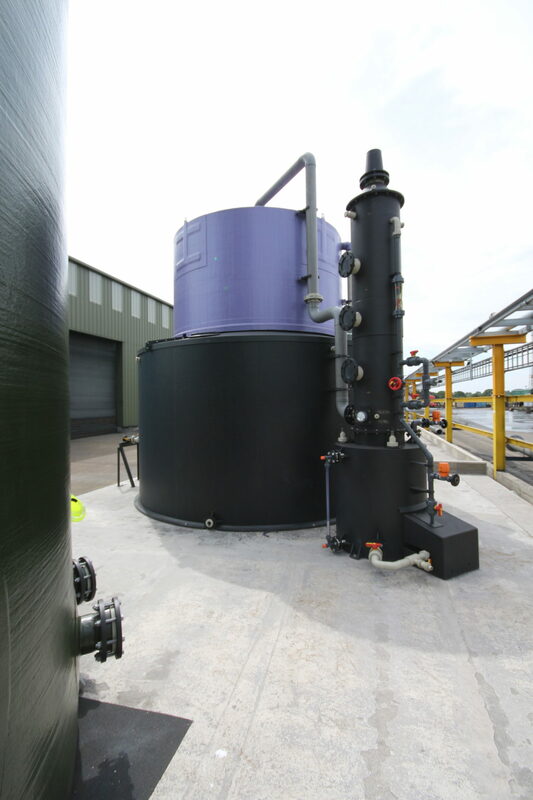 A Hydrochloric Acid tank was supplied with a suitable fume scrubber with recirculation facility, from Forbes standard SB Scrubber range. 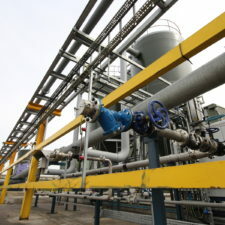 In addition to the above, Forbes also supplied the required access steelwork which included access ladders, connecting access platforms, top hand-railing arrangements, raised steel support platforms and mixer support bridge, all manufactured ‘in-house’ in Forbes’ purpose built steelworks factory. 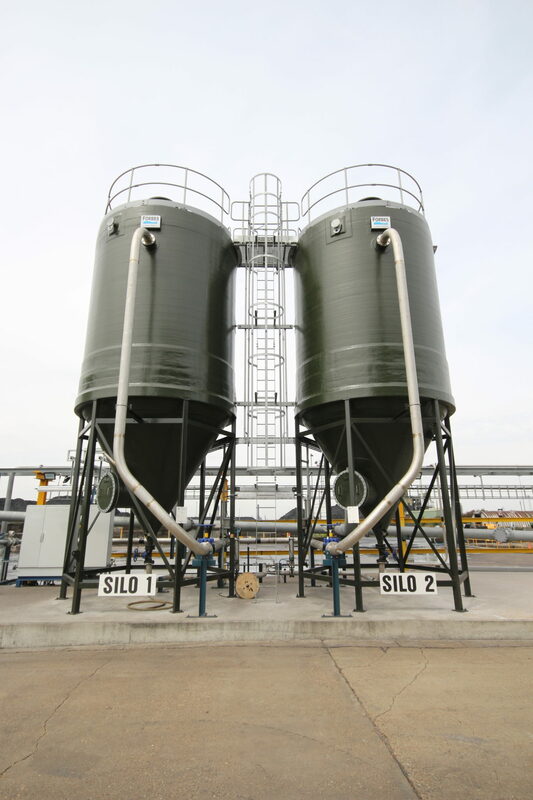 2 x 45m3 Wound GRP Water Reception Tanks, fabricated with a 3m deep conical base, raised on a steel support. platform. Supplied with access ladder and interconnecting platform. 1 x 75m3 Wound GRP Towns Water Break Tank, fabricated with a sloped base to give maximum drainage. 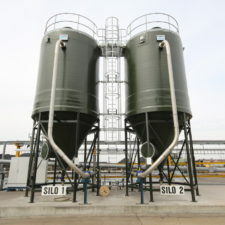 1x Standard Bulk Tank Scrubber – SB Range. 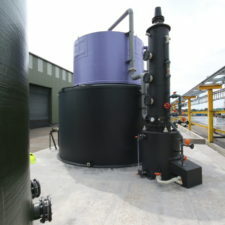 1 x 10m3 Wound GRP Mixing Tank, fabricated with a 570mm deep conical base. 1 x 100m3 Wound GRP Water Break Tank. 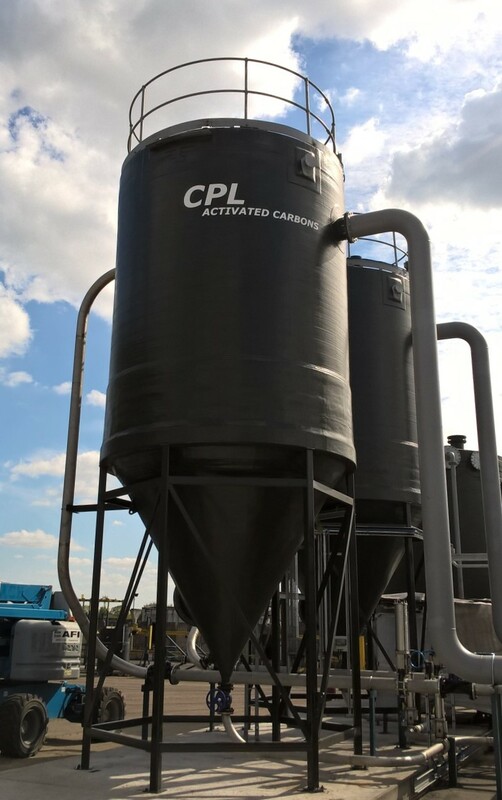 Following the completion of the installation, CPL’s first batch of ‘green list’ spent carbon was successfully reactivated from a drinking water facility in the south of the UK.